Home Tags Posts tagged with "Diamond"
When it comes to choosing jewelry, it’s so easy to go for classic pieces which just look the same as everyone else’s. But then you will blend in with the rest of the crowd, and it will be hard to make your outfit look fantastic. 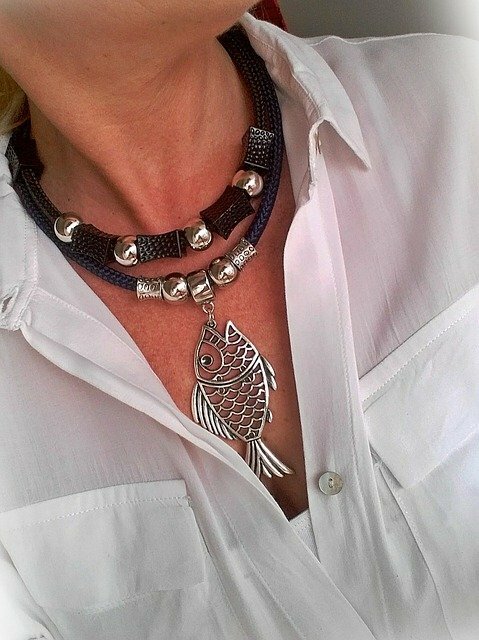 And you will be surprised how much of a difference jewelry can make to your whole outfit. In fact, if you go for unique jewelry, it will turn heads when you are walking down the street. Therefore, here are some ways you can stand out from the crowd with your jewelry. It’s so easy to go for modern pieces that you might find in the store when you are choosing jewelry. After all, you can easily pick something which is bang-on trend from the high street stores. However, if you want to stand out from the crowd, you should go for a classic piece instead. After all, if it’s a vintage piece, it will help your outfit to stand out. You will get comments aplenty about the stunning necklace or ring which you are wearing. 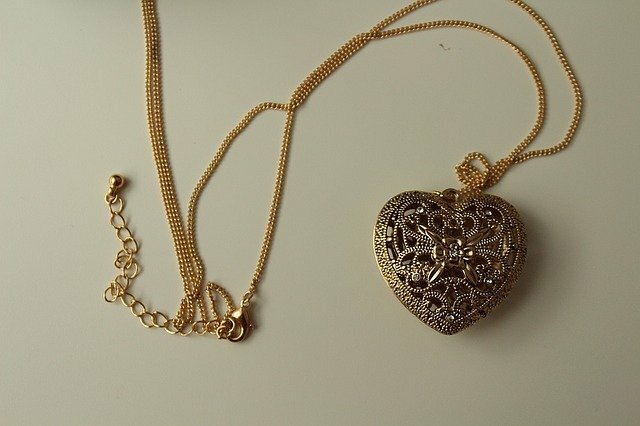 And vintage is on-trend, so you can stay in the height of fashion while doing something different with your jewellery. 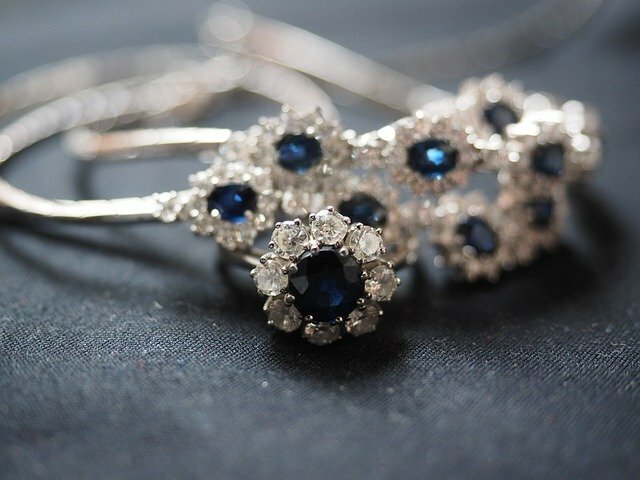 You can either raid the thrift stores or look closer to home by asking your mom or grandma if you can use some of their old jewelry. And then you can ooze some old school glam like actress Amy Adams does every time she hits the red carpet with her vintage jewelry! A lot of people are walking around with similar rings on their fingers. After all, you can get the same old diamonds from every store. But while you are likely to get compliments, it’s unlikely to help your outfit to stand out. Therefore, you should opt for a custom diamond ring which will be different from everyone else’s jewelry choices. One way you can do this is by buying the diamond first and then creating a ring after with the stunning loose diamond. For example, you can get a 2 carat diamond from Diamond Registry which can then be converted into a gorgeous ring. And by choosing a unique diamond, you can ensure your ring stands out when you are out and about. Not only this but it can make your whole outfit look expensive if you have a unique ring! When it comes to picking out jewelry, a lot of people go for the same old colors. After all, they tend to go for a classic black or gold. But a lot of the time it can just blend in with their outfit. So it doesn’t look eye catching and is easily missed. Therefore, to ensure you stand out from the crowd, you should opt for a bright color in future. For example, why not go for a yellow gold which will ensure you add some early summer sunshine to your outfit. In fact, the stars love to head out on the carpet in some yellow at this time of the year. Or go for a blue or purple sapphire necklace or ring to ensure you stand out from the crowd! And don’t be afraid to layer up necklaces or to stack up rings! A 29.6-carat blue diamond has been discovered at Cullinan mine in South Africa. The stone was recovered by Petra Diamonds at its Cullinan mine, about 25 miles north-east of Pretoria. “This stone is one of the most exceptional stones recovered at Cullinan during Petra’s operation of the mine,” the company said. Petra Diamonds unearthed a 25.5-carat blue diamond which sold for $16.9 million in 2013. The latest discovery is also expected to sell for a high price. 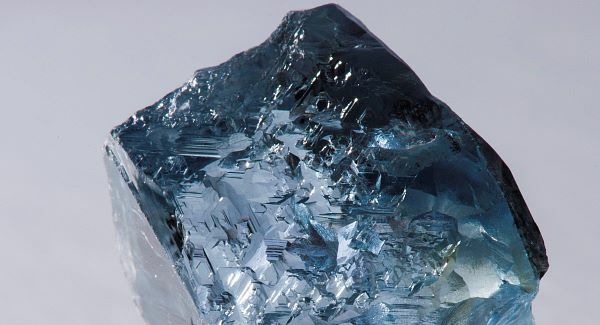 “The stone is an outstanding vivid blue with extraordinary saturation, tone and clarity, and has the potential to yield a polished stone of great value and importance,” Petra Diamonds said in a statement on Tuesday. Cullinan mine has produced hundreds of large stones and is famed for its production of blue diamonds – among the rarest and most highly coveted of all diamonds. The mine was acquired in 2008 by Petra Diamonds, which also operates in Botswana and Tanzania. A similar 26.6-carat blue rough diamond discovered by the company in May 2009 was cut into a near perfect stone and fetched just under $10 million at a Sotheby’s auction. Another deep-blue diamond from Cullinan was auctioned for $10.8 million in 2012 and set a world record for the value per carat. In 1905, the renowned Star of Africa blue diamond – the world’s second largest cut diamond – was discovered at the Cullinan mine. The pear-shaped 530-carat stone was presented to King Edward VII and became part of the British crown jewels. 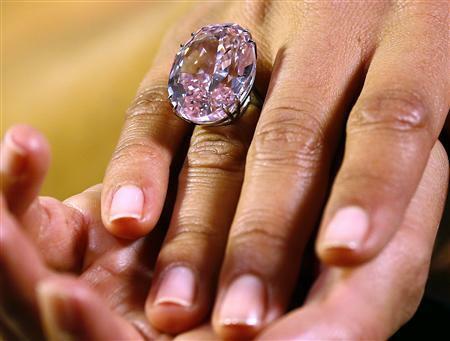 Pink Star diamond has sold for $83 million at a Sotheby’s auction in Geneva – a record price for a gemstone. The diamond measures 2.69 cm by 2.06 cm (1.06 inches by 0.81 inches) and is set on a ring. The Pink Star was sold to Isaac Wolf, a well known New York diamond cutter who has renamed it the Pink Dream. The winning bid surpasses the $46.2 million paid for the Graff Pink diamond three years ago, which was half the size of the Pink Star. The $83 million includes Sotheby’s commission. The winning bid was for 68 million Swiss francs ($74 million) and reports say there was a long silence between that offer and the previous telephone bid of 67 million Swiss francs. “Ladies and gentlemen, 68 million is the world record bid for a diamond ever bid and it’s right here,” Sotheby’s David Bennett said as he brought down the hammer. Sotheby’s played the theme tune from the “Pink Panther” movie after the winning bid was confirmed. According to the auctioneer, the Pink Star was mined by De Beers in Africa in 1999, but it did not say which country. It took two years to cut and polish the diamond, which was 132.5 carat in its rough state. In its finished condition the Pink Star is 59.60 carat, more than double the size of the next biggest diamond in its class. A carat is a weight measurement used for gemstones and is 0.2g (0.00705 ounces). Sotheby’s has sold almost $200 million worth of jewellery in its current auction, a record for a single auction according to the company. According to US scientists, diamonds big enough to be worn by Hollywood film stars could be raining down on Saturn and Jupiter. 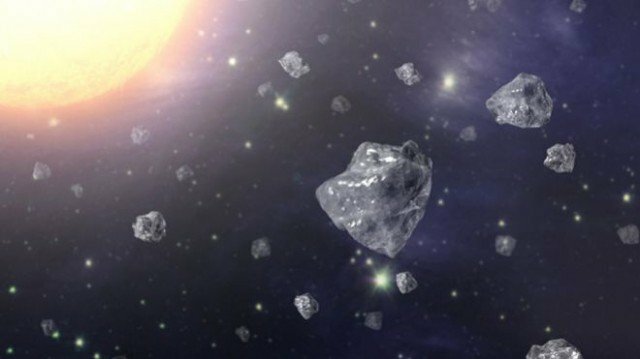 The biggest diamonds would likely be about a centimetre in diameter – “big enough to put on a ring, although of course they would be uncut,” says Dr. Kevin Baines, of the University of Wisconsin-Madison and NASA’s Jet Propulsion Laboratory. Kevin Baines added they would be of a size that the late film actress Elizabeth Taylor would have been “proud to wear”. Kevin Baines presented his unpublished findings at the annual meeting of the Division for Planetary Sciences of the American Astronomical Society in Denver, Colorado, alongside his co-author Mona Delitsky, from California Speciality Engineering. Uranus and Neptune have long been thought to harbor gemstones. But Saturn and Jupiter were not thought to have suitable atmospheres. Kevin Baines and Mona Delitsky analyzed the latest temperature and pressure predictions for the planets’ interiors, as well as new data on how carbon behaves in different conditions. “It all begins in the upper atmosphere, in the thunderstorm alleys, where lightning turns methane into soot,” said Kevin Baines. These continue to fall for another 30,000km – “about two-and-a-half Earth-spans” says Kevin Baines. “Diamonds aren’t forever on Saturn and Jupiter. But they are on Uranus and Neptune, which are colder at their cores,” says Kevin Baines. 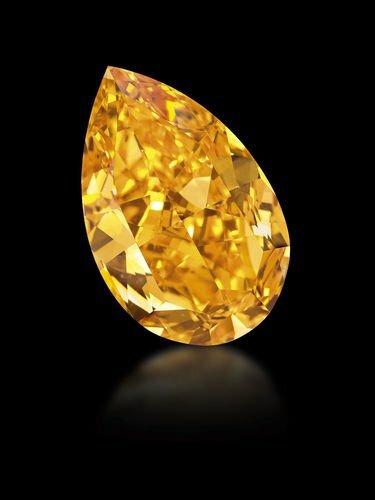 The world’s largest orange diamond is expected to sell for up to $20 million when it is auctioned by Christie’s in Geneva, Switzerland. A preview of the auction, which also will include an emerald necklace worn by Princess Pfizer of Egypt and a brooch owned by Eva Peron took place in New York last Friday. “The orange diamond is rare primarily because of its size. At 50 carats it’s the largest vivid orange diamond in the world that’s ever come up for sale at auction,” said Christie’s representative Rahul Kadakia. The Christie’s sale includes some of the rarest gems, and jewels from the impressive period. Christie’s says the pear-shaped Orange diamond is expected to sell for up to $20 million when it is auctioned by Christie’s in Geneva, Switzerland on November 12. 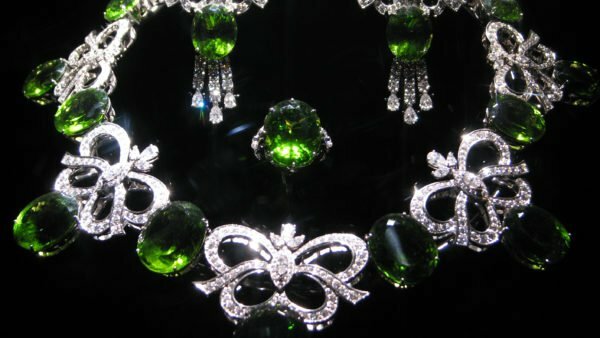 Other items such as a Cartier emerald and diamond necklace are expected to sell for up to $10 million.